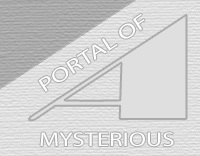 Welcome on site, dedicated to to phenomenas, unexplained by science. Paranormal phenomenas always was with us. All more scientist begin to understand that they have a no right to ignore the multiplying certificate of existence paranormal phenomenon. But will help deal laboratory studies? The Adductions as before sneak out of explanations. Reinkarnaciya remains the secret. We do not know that occurs, when soul abandons the body. Even existence parapsychic abilities - a telepathies and clairvoyances - is not recognized traditional science. But we have understood only that questions, which rise in connection with mysterious and unholy, complex and have not while answers. All your offers and remarks leave in guestbook or write on e-mail. The Dear readers! The Administration is pleased to see You on pages of the site. For 2 year of break portal completely to be subjected to change: appeared the full-fledged slider, new system to navigations and a great deal another. The New material, photographies - all this already possible find on put! We Hope that You like!